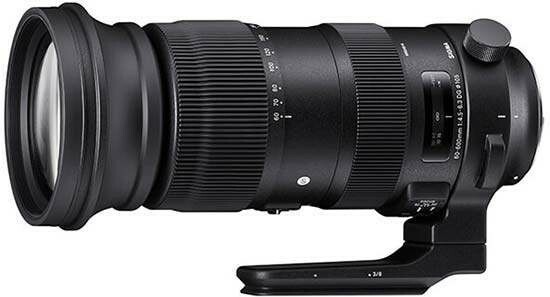 The Sigma 60-600mm F4.5-6.3 DG OS HSM Sports is now available for $1999 USD in Sigma, Canon and Nikon camera mounts. We've already published our full review of this excellent lens here. The zooming mechanism has been engineered to make both smooth rotation and straight zoom possible. In addition, the dust- and splash-proof structure, a classic attribute of the Sigma Global Vision Sports line, ensures safe use even in the most challenging shooting conditions. Together with the water- and oil-repellent coating on the front element, this lens is a reliable and indispensable tool in any professional photographer’s kit. Versatile and robust, the Sigma 60-600 F4.5-6.3 DG OS HSM Sports is the perfect companion for someone going on a safari trip and needing an all-in-one lens to capture wildlife up close and from afar, as well as someone eager to take crisp, sharp images of an action-packed sports game without unwanted blurs or shakes. This lens is a true all-rounder that won’t disappoint photographers on the most challenging photo assignments. · Using this lens with Sigma’s Teleconverters TC-1401 or TC-2001 produces an AF 84-840mm F6.3-9 hyper-telephoto zoom lens or an MF 120-1200mm F9-13 hyper-telephoto zoom lens respectively.